Good morning Ice Music Fans of the world! 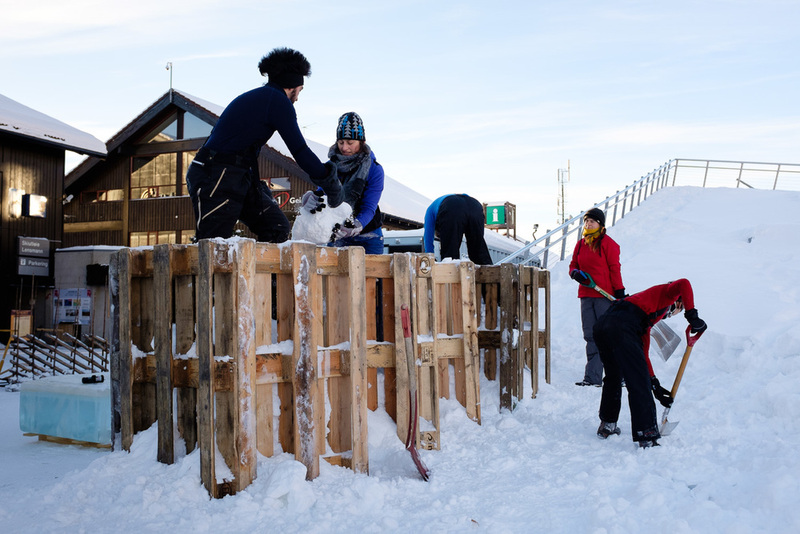 A sublime -16ºc with still air and crystal clear skies here in Geilo. 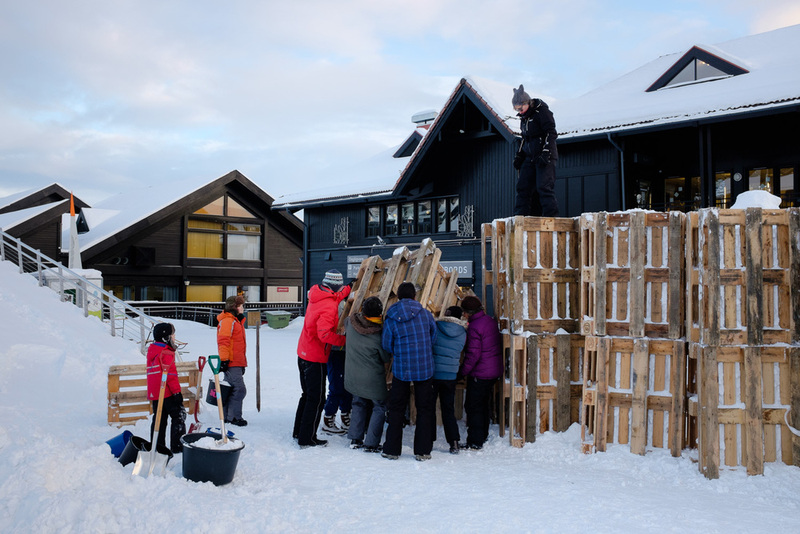 We have Bill Covitz's cut team carving up 1500kg ice blocks into ice instruments and our ice music stage creator Helder Neves and his team are rapidly constructing the stage wall, based on this year's visual theme of 'flowers & woodland'. 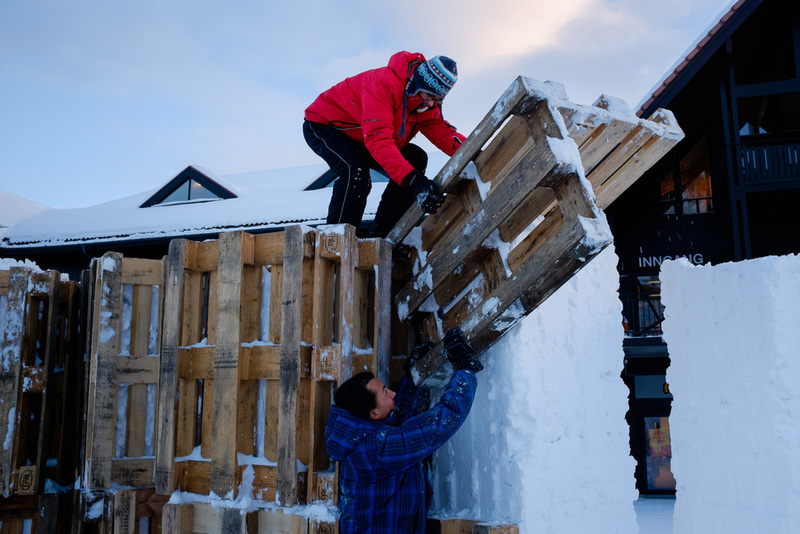 And we love Helder's efficient solution to making intricate snow pillars with his ingenious 'pallet moulding process' (we think he should put a patent on it lol). The first round of artists & musicians arrive tomorrow. 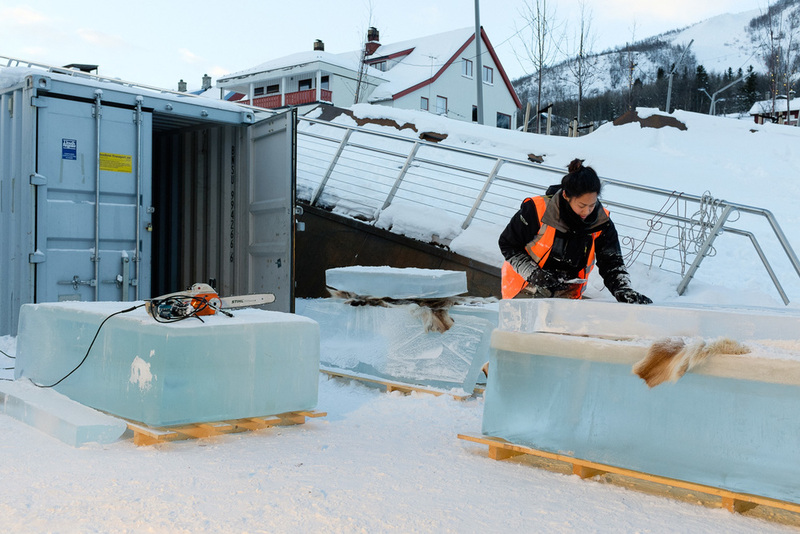 Their arrival heralds the start of the most detailed part of the Ice Music Festival process, refining the ice instruments to the musicians' needs. Each instrument is a 'one-off' and the early failure rate is often quite high, at least until the 'sweet spot' of usability, longevity and musical prowess is formed. 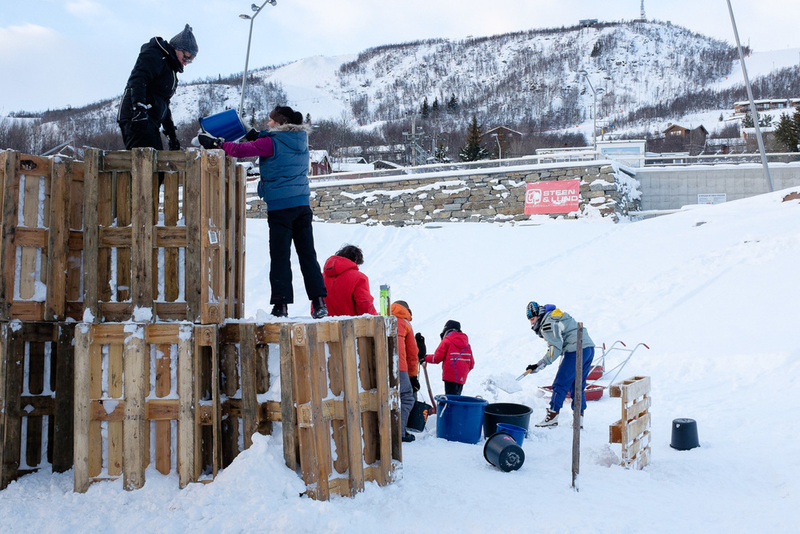 Every artist and musician enters our festival with a strong spirit of discovery and a desire to perform well outside the boundaries of conventional studio and concert spaces - the 11th annual Ice Music Festival is soon upon us.